Smart farming uses technology to access real-time information on crop yields and soil-mapping, fertiliser application, weather data, and intelligent assessment and so improve agricultural efficiency and crop yields. However, for some economies, there remains a huge gap between farmer and app, as it were. For those valuable commodity products such as cocoa and coffee beans, the mobile technology revolution is yet to reach the farm in anything but the most superficial way. 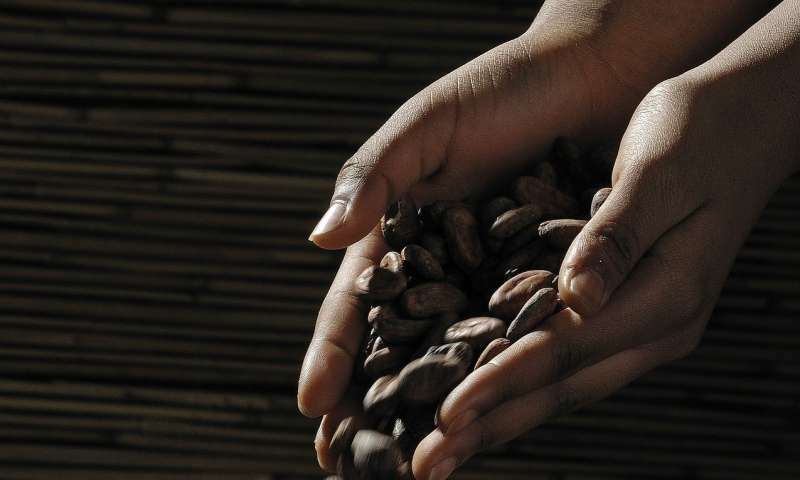 Researchers in Canada, writing in the International Journal of Sustainable Agricultural Management and Informatics, highlight how that gap might be narrowed specifically for cocoa bean growers in Ghana. Ultimately, their research could help farmers find ways to use smartphones to access agronomic information on cocoa management, carry out self-assessment exercises on cocoa pod infestation, as well as perform stock analyses of their produce. They also suggest that technology could open up a crowd-sourcing forum for farmers to discuss issues and problems. The team has already shown the farmers would be receptive to such technology having obtained positive feedback in most cases from 32 cocoa producers with regard to the concept of a forum and all of them were keen to use an app that could help them improve cocoa production. The team hopes that the success of their research will push stakeholders and policymakers to improve smart agriculture in Ghana where the government is yet to invest in technology in the way that has happened in advanced nations.